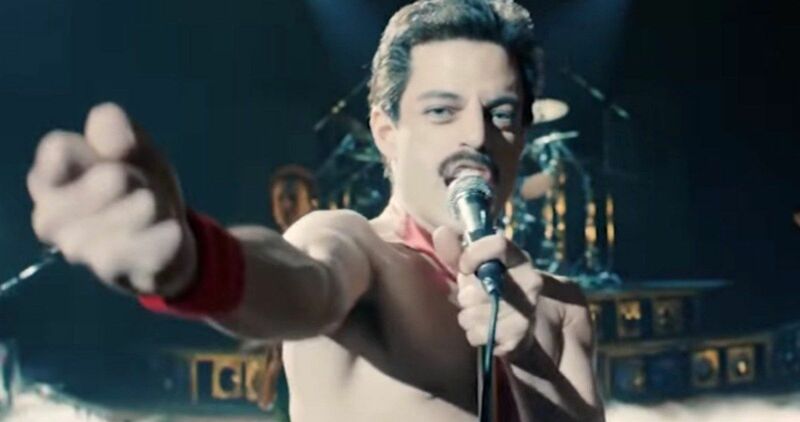 Rami Malek says he’s done with karaoke for a while after portraying Freddie Mercury in Bohemian Rhapsody. Malek’s performance in the biopic has been widely praised since the movie came out. Even before it came out, the pictures of the actor alone were enough to get Queen fans excited. Malek was the perfect choice in terms of looks, but it was unclear at the time if he had what it took to become one of the most legendary rock and roll front men of all time. It’s safe to say that he did now that all is said and done. Rami Malek and Eddie Redmayne were recently interviewed together and asked about their favorite karaoke songs. Redmayne instantly said, Leona Lewis’s “Bleeding Love,” before admitting that he watches X-Factor from time to time. When the question came around to Malek, he didn’t really answer the question, but he had an epic story instead. He explains. Hopefully, the video of Rami Malek and the rest of the cast of Bohemian Rhapsody leak that Japanese karaoke video soon because that sounds pretty epic. Malek could go up and decimate a karaoke stage, so it’s interesting to hear that he’s over doing it. He learned a new life skill that he’ll have for the rest of his life, but he seems a little reluctant to share that gift at this time. Maybe he’ll be open to it after the movie has been out for a few years. After Rami Malek made his big reveal about karaoke, Eddie Redmayne asked him if playing Freddie Mercury had changed him. Specifically, Redmayne asked about the physicality of his performance along with the high amounts of self-confidence that Mercury puts forth. Malek had this to say about the ways that Bohemian Rhapsody and playing Mercury changed him. Until that Japanese karaoke video of Rami Malek performing “Bohemian Rhapsody” hits the web, we’ll just have to settle on the movie, which isn’t such a bad thing. For fans looking for more of Malek as Freddie Mercury, the Blu-ray edition of the movie comes out in February and it features the entire Live Aid performance, including two songs that were not included in the movie. You can read the rest of the interview with Rami Malek and Eddie Redmayne over at W Magazine.